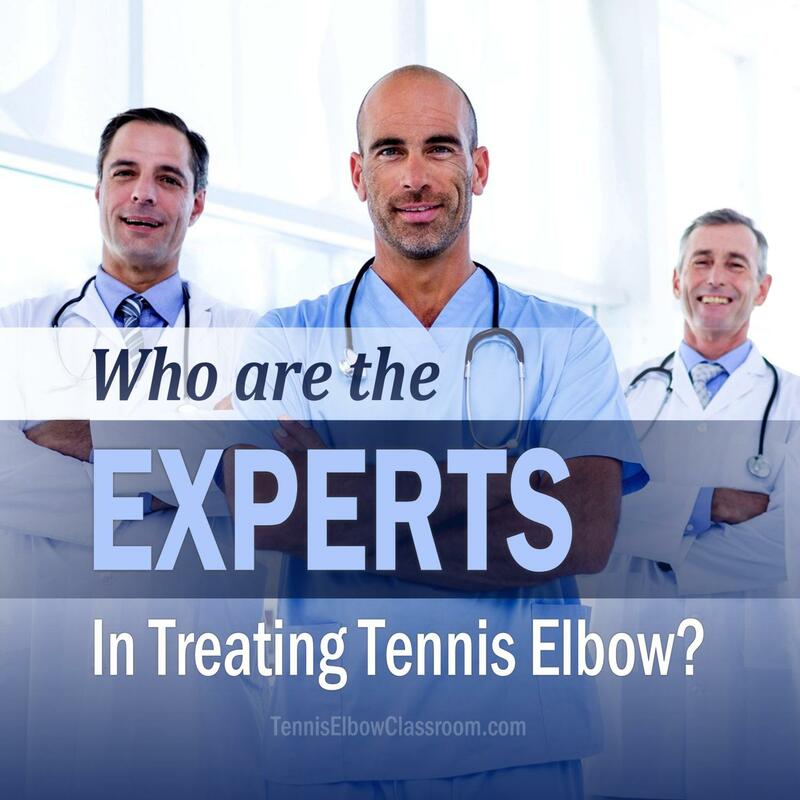 Tennis Elbow Classroom: Who Are The True Tennis Elbow Experts? Who Are The True Tennis Elbow Experts? Who are the true experts and authorities when it comes to the treatment of Tennis Elbow and Golfer's Elbow? Would they be general practice Doctors? Orthopedic Surgeons? Physical Therapists, perhaps? Or could they be the practitioners who exclusively work on muscles and tendons by hand: Massage Therapists and other Bodyworkders? Allen Willette examines this question in this episode of the Tennis Elbow Classroom podcast. Full Article: Who Are The REAL Authorities On Tennis Elbow Treatment?